Congratulations and well played to the Flintshire County team on their win against Denbighshire in the first County match of the season on Saturday the 13th of April away at Rhos on Sea Golf Club. 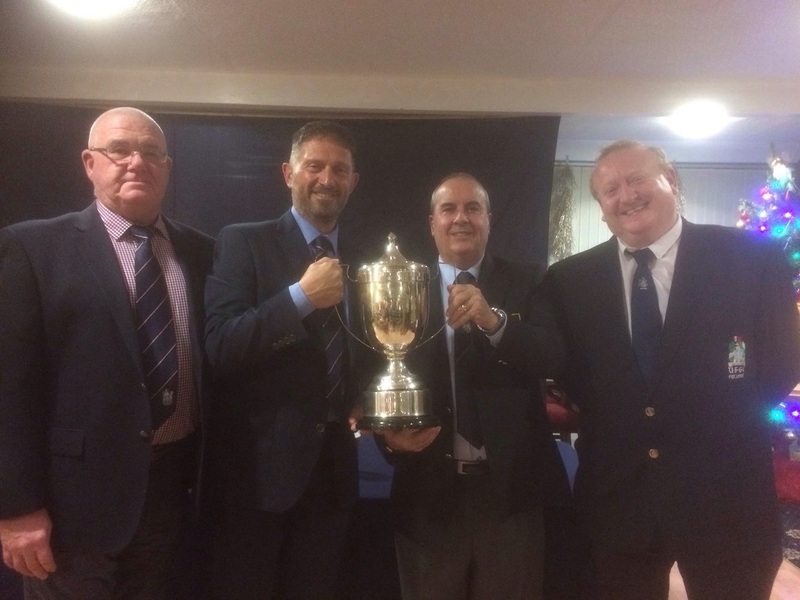 Winning by 2.5 to .5 in the morning foursomes Flintshire won the six singles matches played in the afternoon by a score of 4.5 to 1.5. I am sorry to have to inform our members of the pasing of Cliff Machin a former Captain and President of Old Padeswood Golf Club and a former County Captain of the Union of Flintshire Golf Clubs. Cliff who was a founding member of Old Padeswood Golf Club in 1978 and will be sadly missed by all members of the UFGC. Cliff's funeral is on Friday the 12th of April at Blacon Crematorium time 10:40. The dates and venues for the 2019 season for the Scratch to twelve UFGC Competition, are now down in the diary for 2019. On behalf of the County I would like to thank all those Clubs who are participating in this years events for their continued support and generosity in granting courtesy of their courses to allow us to hold these events. Also in the meeting the trophy for winning the Four Counties Scratch Team Championship was presented by Karl Lurz President of the Four Counties to the County Captain 2018 Paul Cooper.